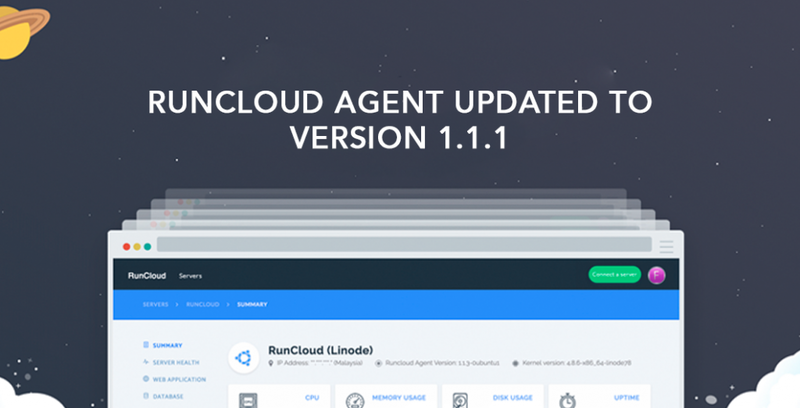 Sharing RunCloud server access with team members has been a highly requested feature since the RunCloud launched. We are happy to announce that the “Team Management” feature is now available for RunCloud Business plan. 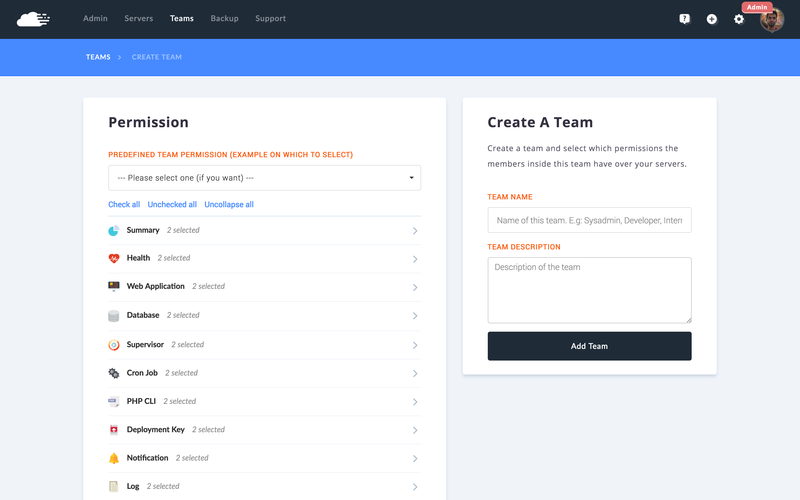 Through this feature, you can select different RunCloud access permissions for team members. 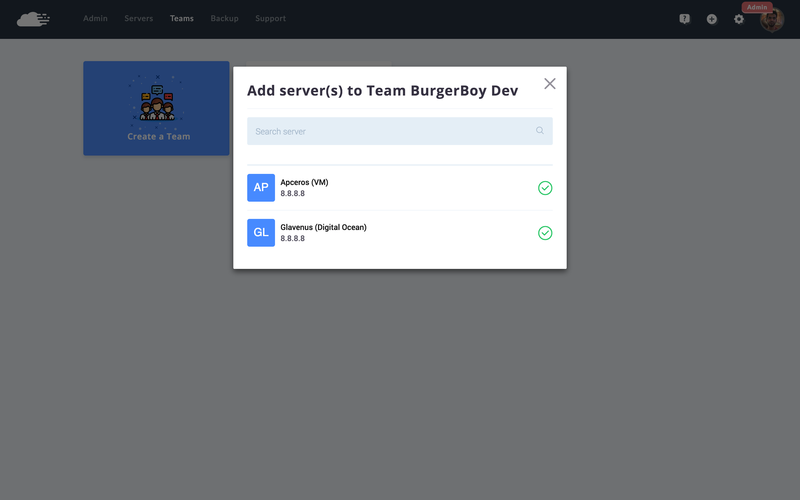 Login your RunCloud Business account and you will see the new “Teams” menu item at the top navigation bar. Click on it and you will see the team management page. Name your team and gives a description, then click “Add Team” button to create your team. At the Team Management page, you will see your new team. 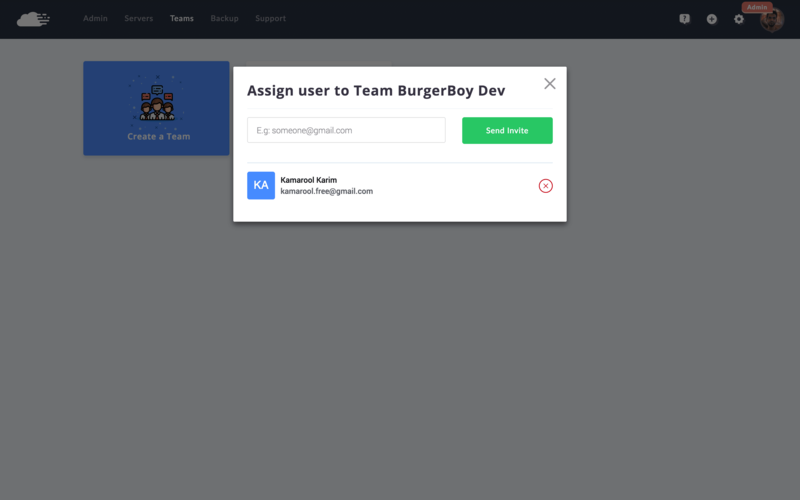 Now you can assign team member(s) to the team by clicking on the green user icon. 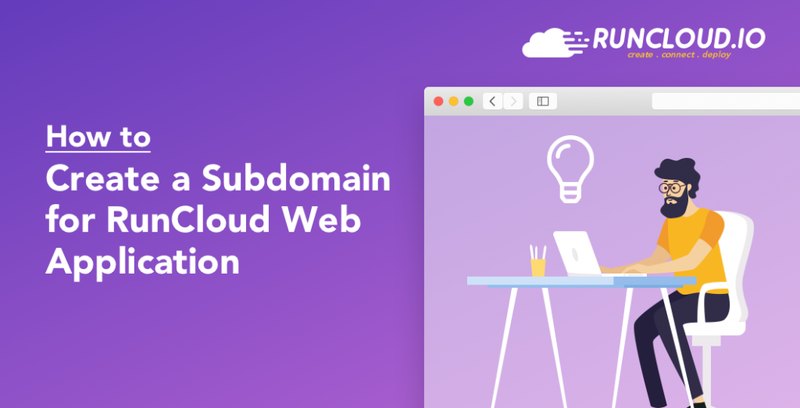 Please note that only server owner can invite a team member and the team member needs to be an existing RunCloud user (register a free account here). Then, click the green server icon to assign the server(s) in your RunCloud account to be accessed by the team. Now you created a team with specified access permission to selected server(s). Sign up or upgrade to RunCloud Business Plan today to collaborate with your team members. If your team members are not yet on RunCloud, ask them to sign up a free trial now. Pretty exciting! As someone hoping to start hiring an employee before too long, this is fantastic news! 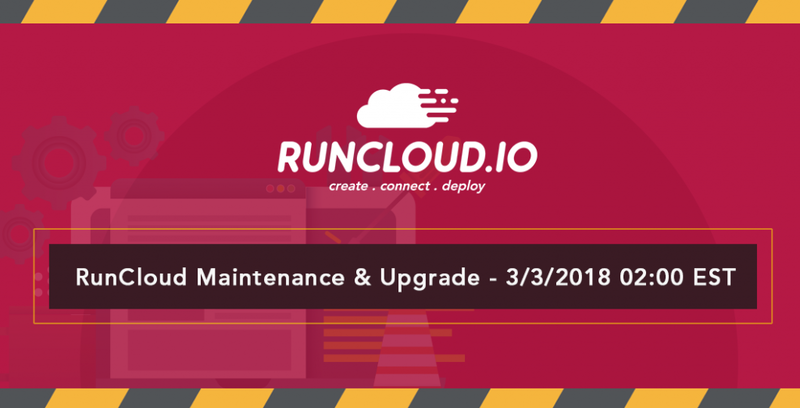 Any word on Runcloud supporting Django web apps in the future?